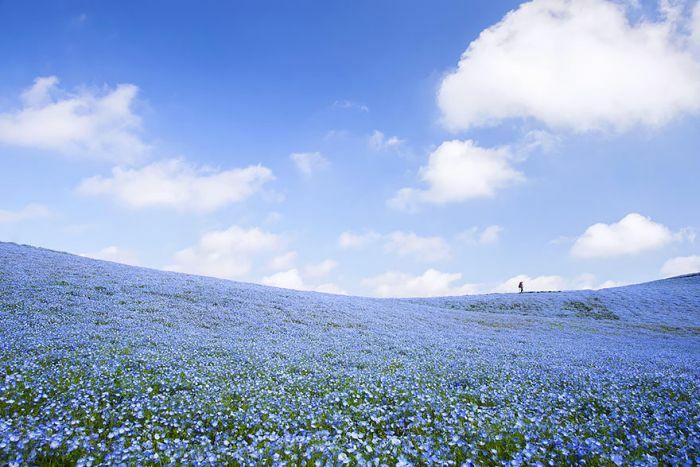 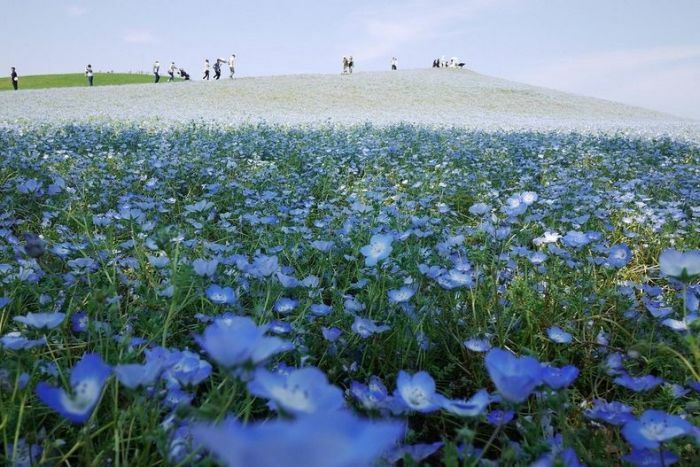 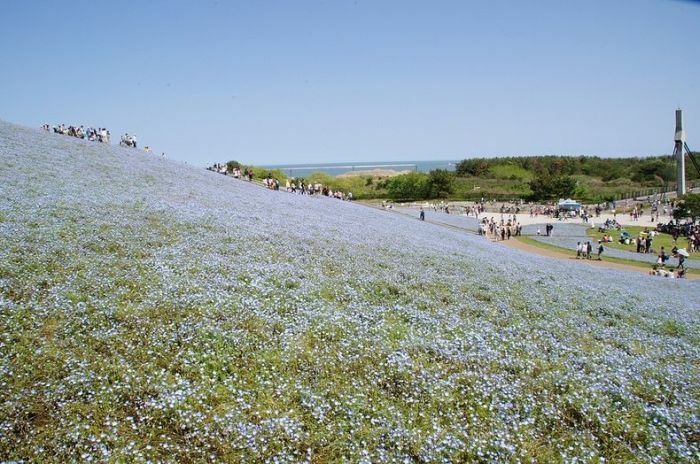 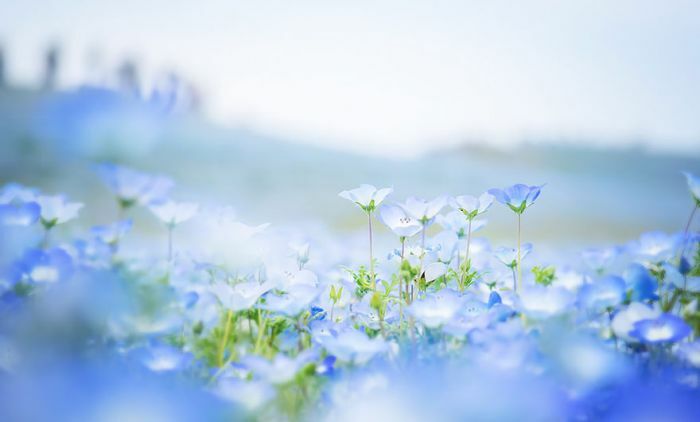 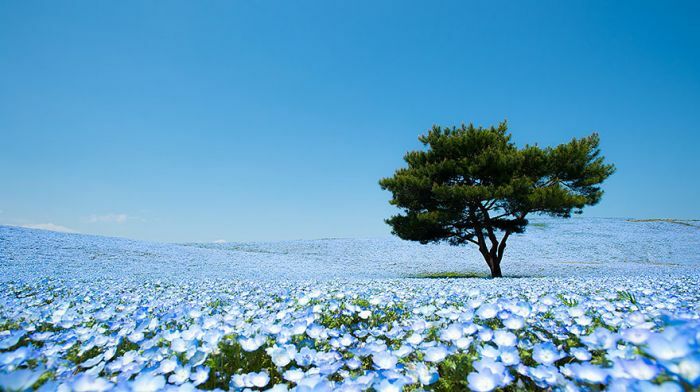 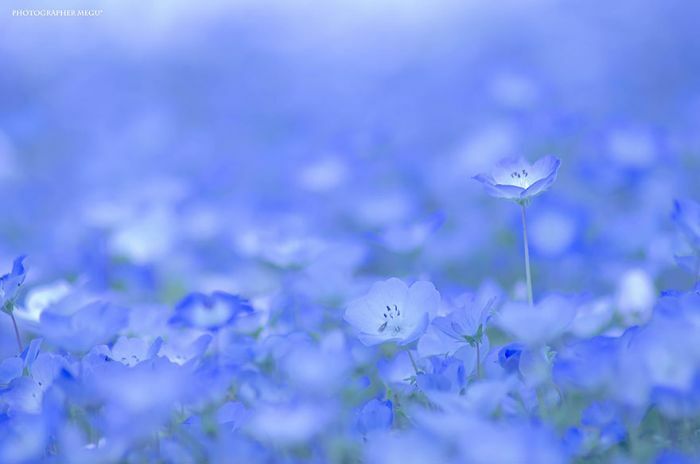 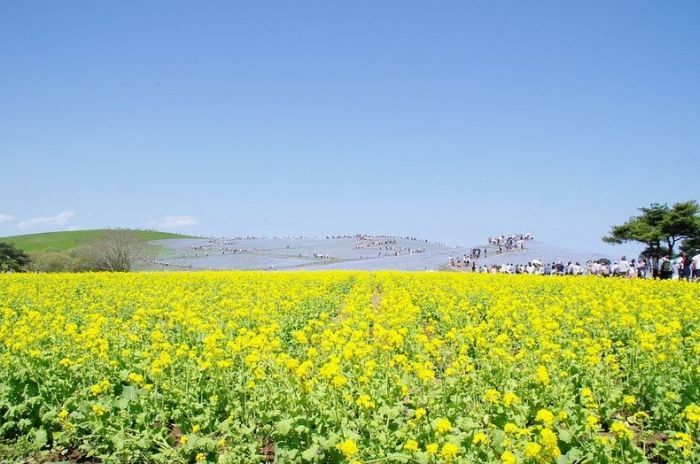 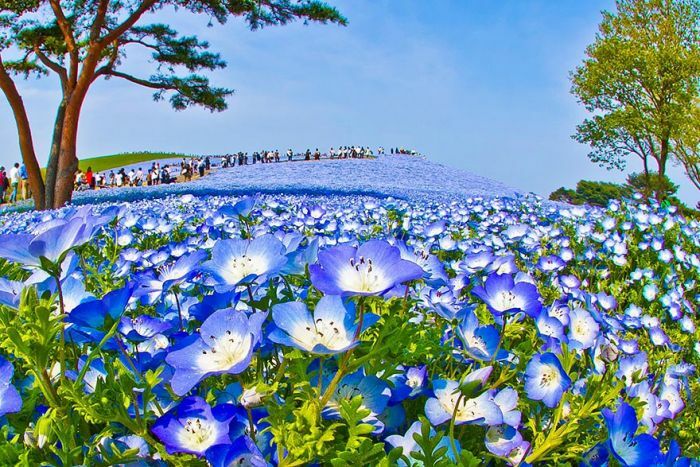 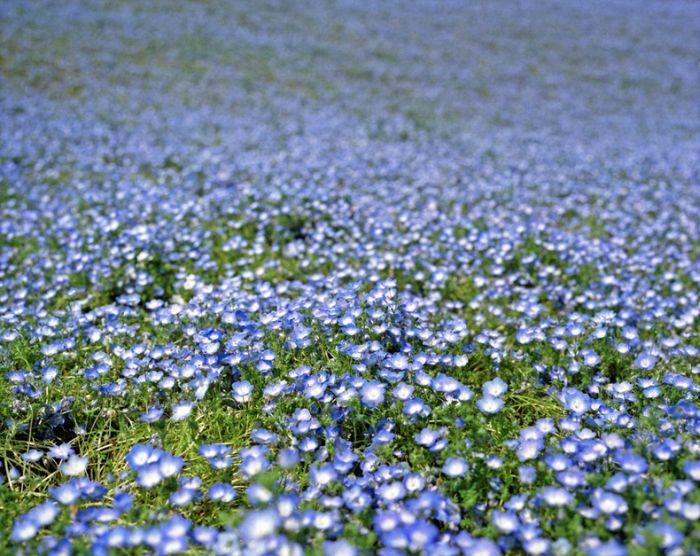 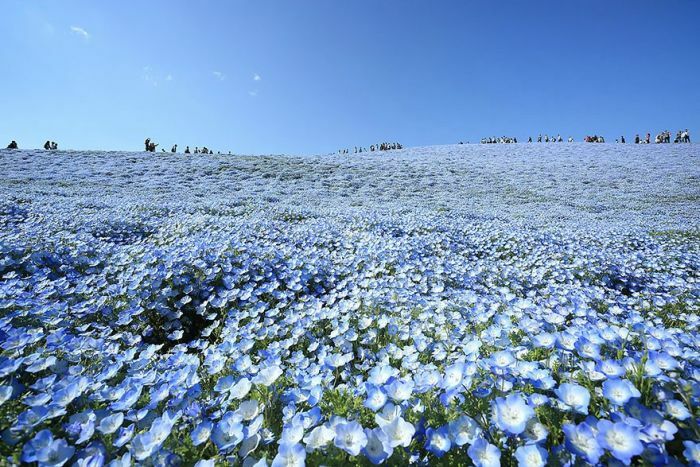 At Hitachi Seaside Park, located in Hitachinaka, Ibaraki prefecture in Japan, there is a beautiful field of blue flowers. 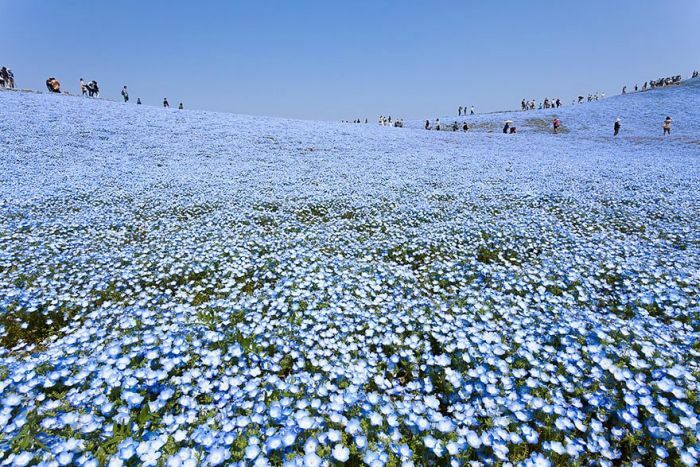 This is one of Earth's most amazing sights. 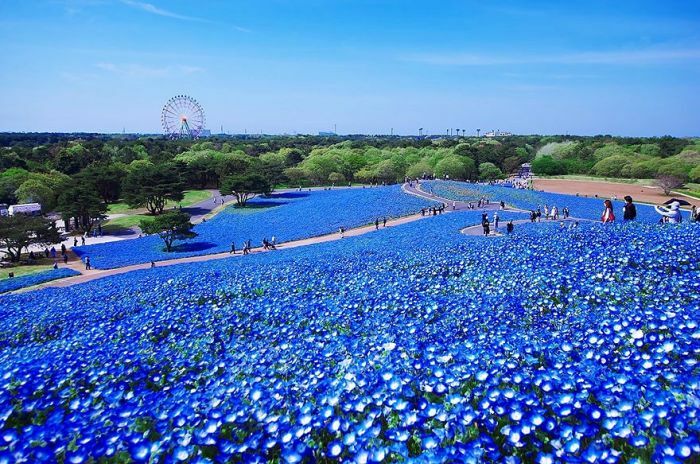 It's so stunning that you would think there was some sort of CGI involved but it's completely natural. 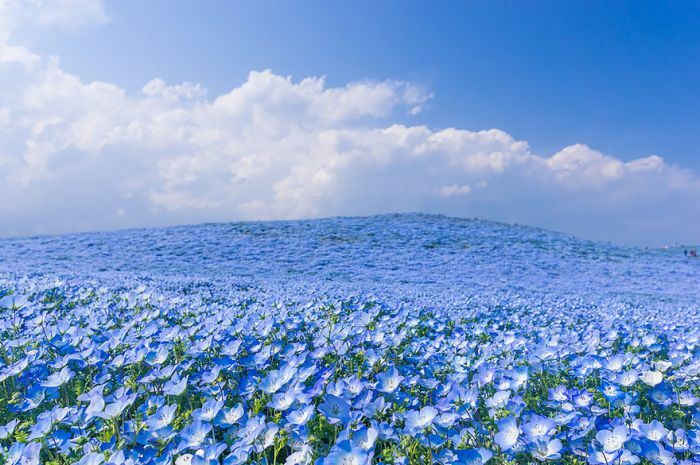 Id say #3 is what it looks like to the human eye, and the others are close up images at low elevation so all you see are flowers (not to mention using filters to make the blue a lot stronger). 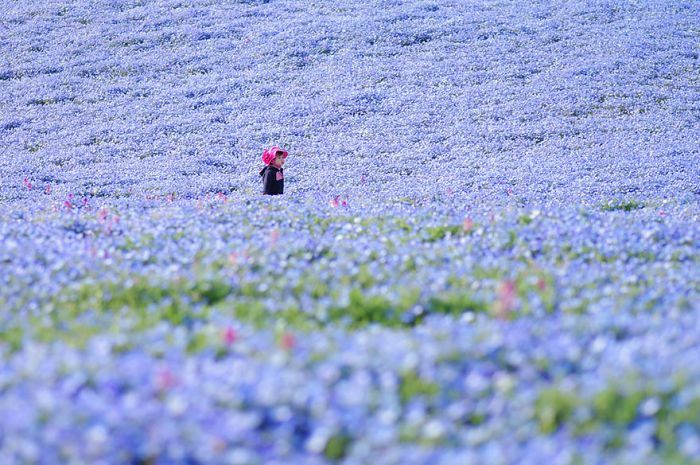 Photographers dream, everyday tourist letdown.